Every once in a while, I get the urge to have a nice bowl of chicken and mushroom pasta. Nothing beats that. It’s not an everyday tendency and I usually watch my carb intake, it’s just something needed to help ‘soothe my soul;’ a warm, steamy, delicious, homemade chicken mushroom pasta. Some might prefer ice cream, others might prefer cake, it all comes down to the process, the EVENT of having comfort food. The ritual. A friend of mine usually calls me up once in a while and says, “I need to go to Maya’s chocolate” and I understand what she means. She doesn’t just want to go to pick up her fondue, she wants to leave her kids with her mom, throw all care out the window, and sit down with her bowl of chocolate fondue. And me. I’m usually no fun in this ritual since chocolate isn’t my drug but I still enjoy her company and I’m very grateful that I’m a part of it. It’s just don’t expect me to ask for a spoon to scoop out every last drop of warm chocolate; nah, I’d rather sip my tea. 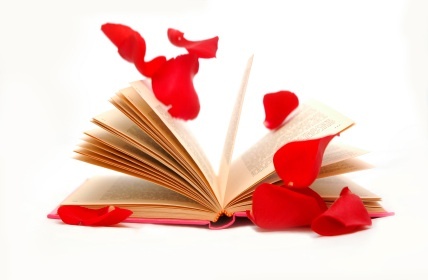 Readers usually stick to one genre of books: romance, non-fiction, horror, comic, business, self help, poetry, you name it. But some readers, like me, like to try out different books. I’d read an Arabic romance then go to a Chicken Soup for the Soul, then try out a classical tragedy, and maybe a philosophical book, then back to a classic, and off to a business book, etc etc. This is what I usually do. I don’t necessarily like them all and I sometimes can’t get pass the first few chapters, it’s just that I have realized being open to different things may bring about an interesting revelation about myself. Who knew I enjoyed epic fantasy with Robert Jordan’s The Wheel of Time series? And who knew I would have read The Hunger Games before Jennifer Lawrence came on screen with her dress of flames (which was TOTALLY not how I imagined it to be). You wouldn’t know if you dislike something before trying it out. And just like food, I have my comfort books. My safe books: books that will always make me feel good and books that I can read and reread. Books that take me to a different place and time and give me comfort and hope. Fictional romances: my warm, steamy, delicious, taste of insomnia. Historical protagonists come alive in my imagination and characters talk to one another in voices I can almost hear. The scents, the sights, the beauty of it all surrounds me and I am immediately transferred to another place. A place of comfort, where I know the ending will be good and there are no surprises.